Addressing each of the Following Areas Below is extremely important in Maximizing Athletic Performance safely and effectively. Program Design in All Areas Should Be Based Upon Solid Scientific Principles. 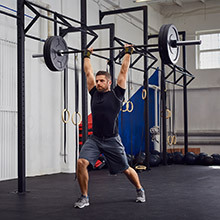 This section includes articles, videos, and other sources of information relevant to proper strength training technique, the science behind safe and effective strength training, program design, periodization concepts, etc. This section includes articles, videos, and other sources of information relevant to the design and implementation of training programs devised for the development and enhancement of maximum speed, including concepts such as sprint and interval training (anaerobic), take off and acceleration, speed development drills, etc., as well as for the development and enhancement of explosive power and the improvement of reaction time, including concepts such as upper and lower body plyometrics and other power development drills. 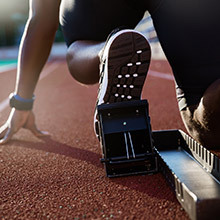 This section includes articles, videos, and other sources of information regarding program design for developing speed endurance, utilizing sprint and interval training concepts (anaerobic), as well as for developing aerobic endurance. 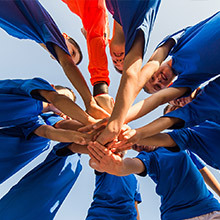 This section includes articles, videos, and other sources of information relevant to the design and implementation of warm up and flexibility programs, utilizing a variety of stretching techniques and routines, devised for increasing flexibility and mobility while decreasing injury potential. 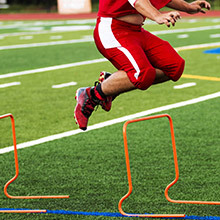 This section includes articles, videos, and other sources of information relevant to the design and implementation of an agility program, utilizing a variety of drills which enhance and improve balance, coordination, and body control. 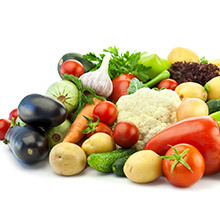 This section includes articles, videos, and other sources of information relevant to healthy food consumption and choices based upon caloric and energy needs, as well as the achievement and maintenance of an appropriate body weight and composition. 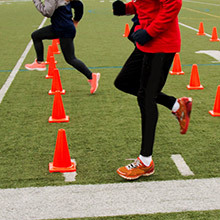 This section includes articles, videos, and other sources of information relevant to protecting the health and safety of the athlete during training, as well as during competition. 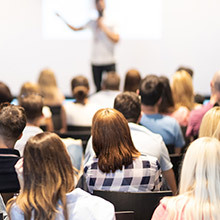 This includes information regarding topics such as heat related illnesses and head concussions, including how to effectively prevent them, as well as how to recognize the signs and symptoms. 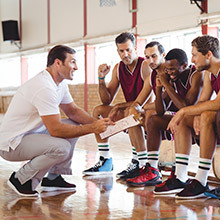 It provides vital information relevant to health issues that can have a negative, even deadly, effect on the wellbeing of the athlete if not recognized and dealt with immediately and appropriately. This includes conditions such as sickle cell anemia, asthma, cardiac related illnesses, diabetes, etc. This section also addresses the effects certain medications can have on athletes during intense training and competition. 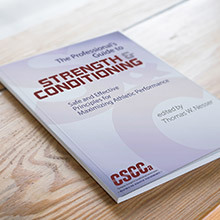 This section includes articles, videos, and other sources of information from strength and conditioning coaches in the field dealing with a variety of pertinent topics and issues. 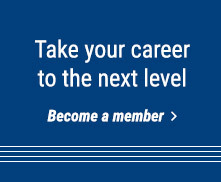 This section includes articles, videos, and other sources of information regarding important leadership skills and qualities such as motivation, effective time management, problem solving, etc. This section includes articles, videos, and other sources of information relevant to sport psychology of both the athlete and the coach. 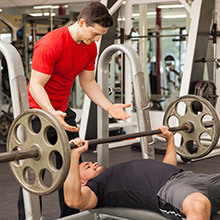 This section includes articles, videos, and other sources of information relevant to the scientific principles upon which safe and effective strength and conditioning programs are designed and implemented. 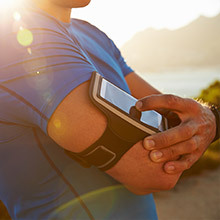 This section includes articles, videos, and other sources of information relevant to the use of technology in the field of strength and conditioning and other related areas. 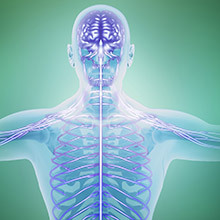 This section includes articles, videos, and other sources of information relevant to the profession of strength and conditioning including the development, progress and history of the field. This section includes videos of presentations given at the CSCCa National Conference each year. Please note that not all presentations are included due to restrictions set by the speakers themselves. If you are looking for a particular presentation that is not included here, please feel free to contact the CSCCa National Office with inquiries.